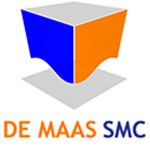 De Maas SMC has a team of engineers covering all engineering disciplines involved in the marine and offshore industry and are experienced in handling basic, detailed and fabrication design. Our engineering staff has experience with various types of vessels - from tugs, calm buoys, PSV's to FPSO's, jack-ups and semi-submersibles - and have been working closely with all major equipment and material suppliers and classification societies. Our senior engineers have excellent working skills and track records in the leading engineering software, like AutoCAD, ABAQUS, CATIA etc. The team is further supplemented by junior members gaining practical experience on-site as well as being trained in-house at our Qingdao office. We can accommodate at our head office and/or on site, fully in accordance to client's standards and demands, a dedicated team of engineers that is able to cover all engineering disciplines on lump sum basis. A secure network hub can be set up to maintain a high level of security on the intellectual property. Please feel free to enquire if you wish to receive further details.